Children with the gift of teaching are very inquisitive. They love to learn and share with others what they have learned. 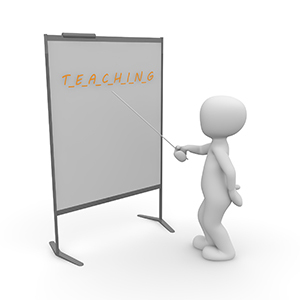 Hence, a gift of teaching is one of the “speaking gifts.” A Teacher child will usually be wordy and talkative. This doesn’t necessarily mean a child with a teaching gift will be a social butterfly. Often these children are gifted intellectually and enjoy solitude as their minds are quite busy. Children with the gift of teaching typically enjoy reading and writing (unless there is a learning disability). They are drawn to experimenting, investigating, exploring, or researching new things they have learned. Since their mind is always running and exploring new concepts, ideas, or stories, they tend to be self-starters. However, children with the gift of teaching get bored easily with routine tasks and need intellectual stimulation to stay focused. The gift of teaching pushes the child to gain further understanding. These children can appear to be argumentative when they are really trying to gain more clarification. As a parent, understanding this aspect of a child’s teaching gift can alleviate unnecessary tension and conflict. However, a Teacher child will be a skilled debater and parents may need to coach them in how to make their point without manipulating a conversation.